LONDON/FRANKFURT (Reuters) - Germany expects PSA Group's (PEUP.PA) proposed acquisition of General Motors' (GM.N) Opel business to go ahead, a minister said on Thursday, after the U.S. carmaker sought to allay fears of large-scale plant closures. "I expect it to take place," Economy Minister Brigitte Zypries told reporters after discussions with senior executives from General Motors and PSA, maker of Peugeot and Citroen cars. The German government is "doing everything we can" to preserve Opel's domestic plants, Zypries said. Talks on a sale of GM's European arm to PSA were confirmed by both companies on Feb. 14, causing alarm in London and Berlin over possible job cuts. Germany accounts for half of GM Europe's 38,000 staff, with 4,500 in Britain where the company operates under the Vauxhall brand. However British business minister Greg Clark said he had been told by GM President Dan Ammann that there was no plan to scrap the Vauxhall plants in the UK. "I was reassured by GM's intention, communicated to me, to build on the success of these operations rather than rationalize them," Clark said in a statement, vowing to maintain "close contact" with both carmakers as talks progress. Little is known about the terms of the proposed PSA-Opel deal, or whether GM would even keep a stake in the combined entity. PSA declined to comment on the talks or the prospect of restructuring. However, Britain's Unite trade union, which met with Ammann and Clark, said it had not received the guarantees it sought. "There’s no assurances at the moment," Unite leader Len McCluskey told Sky News. "My immediate priority now is to understand where Peugeot is now in this process." Unite is seeking urgent discussions with PSA Chief Executive Carlos Tavares, McCluskey said. Both carmakers are privately making the case that Opel would face sharper cutbacks under GM's continued ownership than under PSA's, sources close to the matter have said. GM had pledged "renewed actions" to restore its European business to profitability before news of the talks broke. PSA is also pledging to "maintain Opel as a German company in full compliance with German labor law", according to a person briefed on its contacts with political and union leaders. Another source with knowledge of the PSA-Opel talks said on Thursday that Britain's June referendum vote to leave the European Union was a factor weighing against UK plants. "It's much easier to cut jobs in Britain than Germany," the person said. "Restructuring is very likely to happen at the Vauxhall plants." The German minister's latest comments contrasted sharply with her initial reaction two days earlier, when she said the companies' failure to involve labor or local government representatives in the deal talks was "totally unacceptable". The government of Germany's Rhineland-Palatinate region, home to Opel's Kaiserslautern plant, also welcomed the potential creation of a "European champion" on Thursday and indicated it had received assurances from GM. "There are signals that ... no plants in Germany will be closed," regional Minister-President Malu Dreyer said in a statement. Analysts nonetheless believe the rationale behind a deal lies in its potential cost savings as well as increased scale. 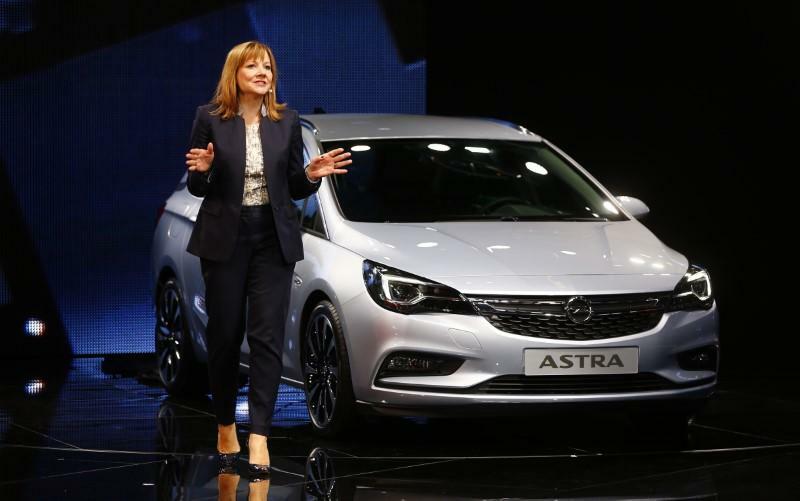 Ratings agency Moody's said on Thursday acquiring Opel should help PSA's credit rating - if the French carmaker pulls off the kind of turnaround that has eluded GM for years. That would require "substantial restructuring expenses weighing on future cash flow generation", analyst Falk Frey said. "The largest obstacle (to) this transaction is the ability of PSA to achieve a turnaround within a reasonable time frame."